Emerging markets like Africa and Asia have shown immense innovation in mobile and I believe the next Frontier in mobile innovation is not software or app but hardware . Africa especially has being very innovative in stretching the limits of sms and now capabilities of App. Small $10 devices that stick into the charger or microphone connectors will be the future of mobile. I assert that for mobile to become truly ubiquitous it should have the ability to be turned to a useful and powerful tool in diverse settings and hardware inserts will be the tool that helps it make the leap. 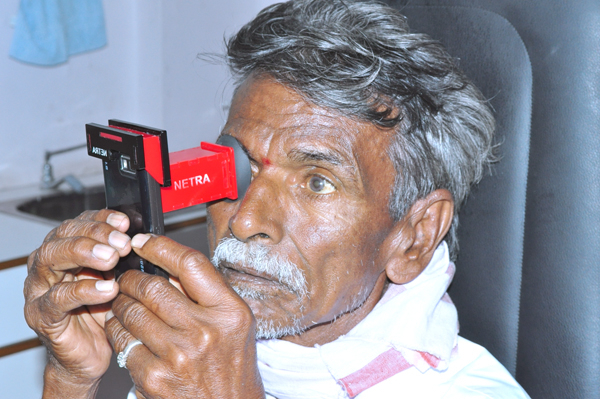 An inexpensive mobile hardware app which is based on an inverse Shack-Hartman sensor for the estimation of refractive errors in the human eye. 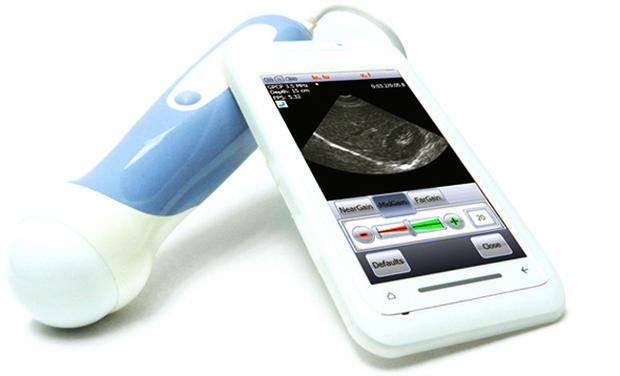 MobiUS system used in fetal, abdominal, cardiac, pelvic, and peripheral vessel imaging. 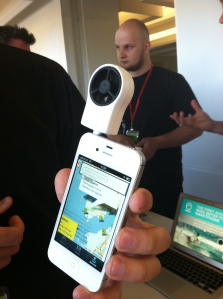 Shaka, a startup developing portable wind speed meters that attach to the iPhone. The device allows surfers to measure wind speeds at their favorite locations, and upload those speeds and wind conditions to social networks. You can then use the LoopWallet app to select the card you wish to use at checkout. 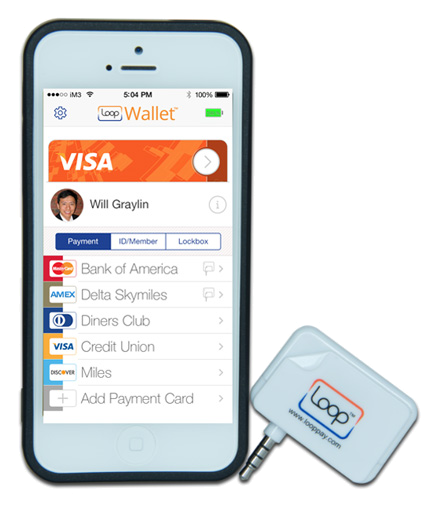 Simply place your Loop accessory near the credit card reader, and hit the transmit button. The signal is sent immediately and the credit card machine accepts the Loop transmission. I believe there are many applications for mobile + portable hardware for crop testing , tropical disease testing ,Geographical Information Systems and Business especially Point Of Sale for Retail An arduino hack and we will have a prototype . I am willing to help work on innovative ideas in this space . 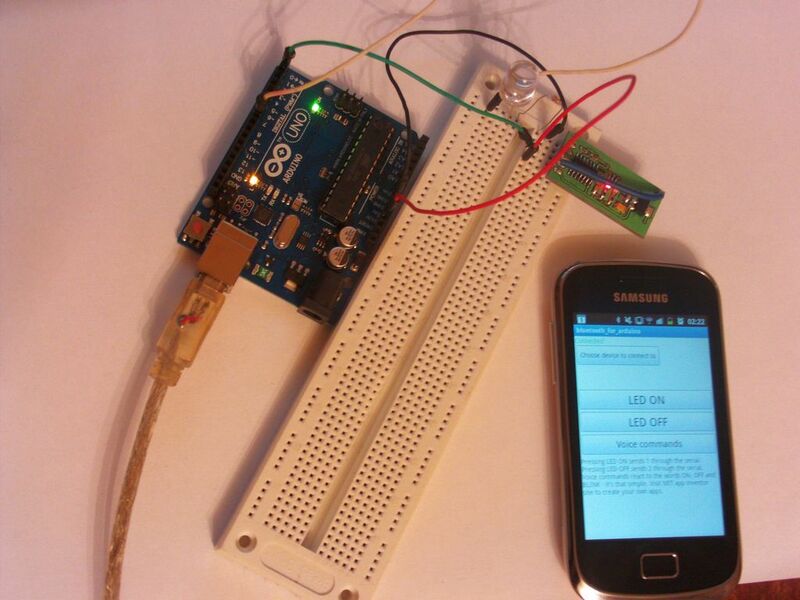 If you can use Arduino and have a innovative idea around mobile hardware lets Talk!! The google contact lens is one of my favorite soon to be technologies. I’ve got a friend who is diabetic and that would definitely help. Hopefully it will be affordable. most disappointing for me is how slow electronic money is taking to get to Ghana. One major problem being the banks just make everything cumbersome.